As part of our 2018 marketing strategy endeavors, we’re currently going through the process of addressing and refining our company mission statement — our “tagline,” so to speak, which is supposed to succinctly define and communicate exactly what we do, why we do it, and who we do it for. Brainstorming with my boss, we came up with a few ideas which all include recurring terms such as “potential,” “help,” “mission driven,” “user focused,” “values,” etc. Flicking back through the company’s first portfolio from almost two decades ago, a strong sense of prioritising value-driven clientele and projects prevails, if not yet fully developed as an integral part of our brand conscience. Today, Blenderbox works mostly in the fields of nonprofit, education, arts and culture. In today’s climate, ideology charges every cultural conversation, and has even spread to informing and influencing a company’s market positioning strategy and the public’s perception of brand identity. Over the years, we’ve learned the importance of company conscience in how we do business — we believe in good karma. Our ethos emphasizes how we specialise in design and strategy for industries whose values are in line with our own, and we’ve reaped the benefits. 1.Developing thought leadership in important fields. Since the majority of our clients are mission driven organizations, we have worked repeatedly on projects tied to philanthropy, education initiatives, cultural institutions, grantee platforms, gender equality, and environmental sustainability. In each case, thanks to a good dose of discovery (not to mention the project process itself), the team has been able to learn a lot about the common concerns, challenges, and specific design, content and strategic needs of these clients. This knowledge is especially important in the context of working with nonprofits and in education, all of which require a partner with experience and expertise in their field in order to truly understand their goals. Our “company conscience” means we can work on projects which allow us to develop our thought leadership in these important fields. Building positive relationships with our clients is important to us. However and whenever we can make contact, whether in person or on the phone, we want to get to know the people behind the organisation. When working with a conscientious clientele, there is added value to that relationship, as both client and agency develop loyalty towards each others’ missions based on their shared values. In the end, the goal of our service is to help organisations reach their full potential, and provide them with the tools to grow their work — and our clients in turn recognize that motivation and respect our commitment and effort. 3. Interesting projects and scope of work. Mission driven organisations often offer the most interesting and exciting project requirements. Our recent work with the Critical Ecosystem Partnership Fund (cepf.net), for example, involved a whirlwind of learning and discovery on our part covering topics such as biodiversity, ecosystems, sustainability, and work being carried out by the client around the globe. Even projects closer to home can be enlightening, and have given us the opportunity to explore the educational resources of New York City and its educators, like our work with WeTeachNYC and WE NYC. 4. In touch with the ‘turnt on’ sensibilities of millennial, Gen X and Y. Company conscience expands to company consciousness. 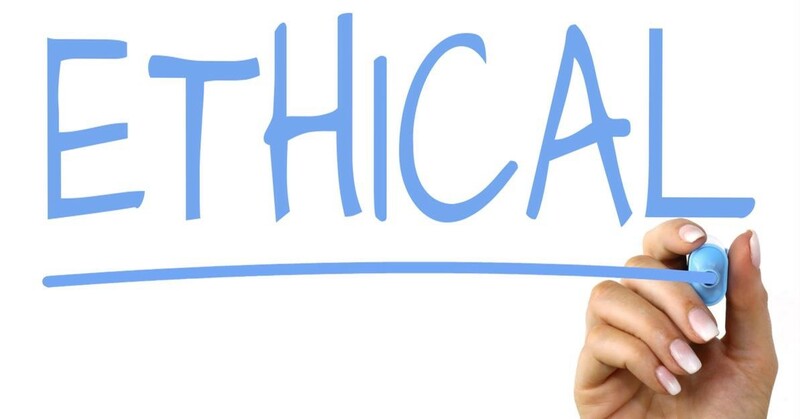 Not only do a brand’s products and services need to follow responsible and ethical business practices, but brands and companies themselves as a whole must take a stance on controversial issues, make sure they are taking the right side, and respond accordingly. Enter the community role of businesses, who can reflect their conscience not only in with whom they choose to work and how they produce their services, but how they engage with social and political issues. Social media and content marketing is set to play a big role in disseminating and communicating company opinion and engagement. 6. Brand conscience is more than a marketing move. Back to flicking through the company’s old portfolio, I asked my boss how and why Blenderbox had eventually decided to specifically target projects in the areas of nonprofit, education and the arts. “Well, it helps you sleep a little better at night, doesn’t it?” she responded. As Contently’s director of strategy Joe Lazauskas wrote after the 2016 presidential election, “Loyalty isn’t just a marketing metric” anymore, but is also “critical for measuring the internal health of your company.” In a recent survey we sent out to our clients, one responded with his own asking “How do you guys stay so happy all of the time? I wish my staff were like that!” I’d like to think that as well as “buying on belief,” our team also creates on belief, and shares the same values as the organisations we work with. Well, we don’t want to end up in no brand’s land, do we?